Anglicans from Australia, US, England, Canada, and Africa, joined by representatives of the Coptic Orthodox, Greek Orthodox, Coptic Catholic (and the Papal Nuncio), representatives of Missionary organizations, NGO’s and The Bible Society of Egypt, together with government officials and ambassadors, muslims, Christians and secular, all gathered in the Anglican Cathedral of the Diocese of Egypt with North Africa and the Horn of Africa on Aug 25th, 2012.In the welcome and the witness of this company, Grant was ordained assistant bishop for the Diocese and area bishop for the Horn of Africa. It was 7 o’clock at night ( 1 pm North American time), and the Holy Spirit overshadowed us all. 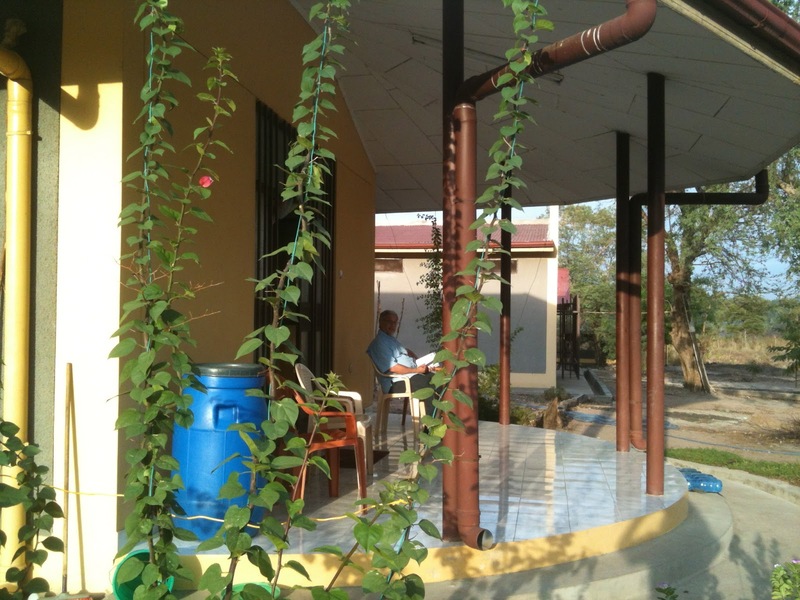 The Presence of God infused the prayers of friends present and overseas. It was as if we could feel the very pleasure of God in the unity of His people. “How good it is when brothers dwell in unity... for there God has ordained the blessing”. I had awakened the day before, with these words clearly and inexplicably in my mind, “Operation Ruin”. I figured maybe this could be a nudge, a warning to pray for protection! You think?!!! Later that day Anna, our David’s dear girlfriend, suffered a dangerous fall from which, miraculously, she was unhurt apart from being both bruised and shaken up. Shortly after that, Grant suffered the excruciating pain of a torn leg muscle. As the Presence of God came upon Grant at his consecration, all pain disappeared, and he was completely healed. 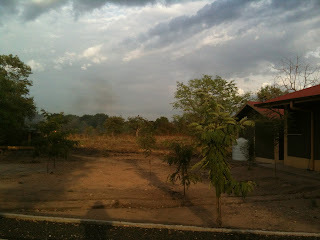 In the pressing heat of the pre-rain season, land is cleared by setting fire to the dry grass. Running fires sweep here and there throughout the region, leaving charred and cleared ground ready for planting. We were getting ready for supper, when we realized that one of these fires was headed straight towards us. The man “tending” the fire, perhaps realizing impending disaster, ran away! Grant and Iri decided to do battle with buckets of water. They gained nothing but a happy tick who decided Grant was a good escape from the burning brush. Gusting winds fanned the flames to 3 feet in height as they reached our inadequate 3 strings of wire fence. Our precious banana tree seedlings looked doomed, not to mention the buildings of the Anglican Center. There was nothing we could do! Bowing our heads, we prayed, “ God, send Your servants the angels, as wind to blow away the fire". Instantly, like the flipping of a switch, the fire went from 3 feet down to 3 inches and then quickly fizzled out, just at the border of our fence! It was a peaceful and thankful night, sitting in the now welcome breeze of the wind. Thank you God! And thank you, our friends, for the unity of your prayers for and with us, in which dwells God’s ordained blessing (Psalm 133:1-3).